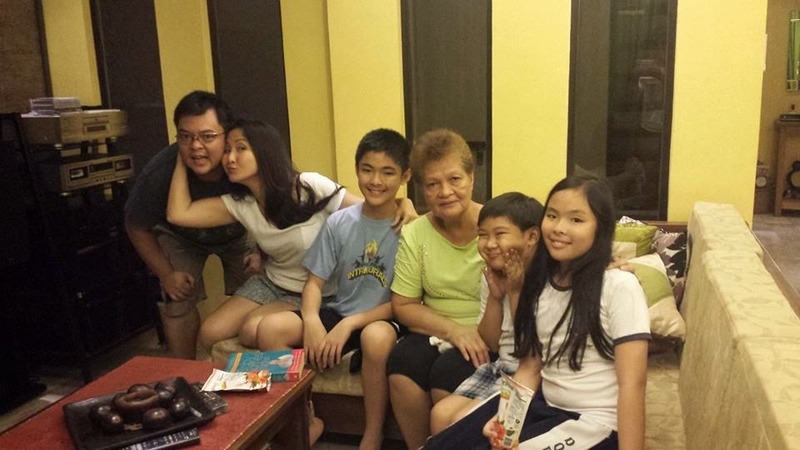 I had a wonderful time yesterday because I accomplished all my schedules - guested at Rise and Shine in UNTV in the morning, attended Carnation's Mary's Kitchen in the afternoon and celebrated Mama's 64th birthday at home. But we all know that life can't be that great everyday. Today, I woke up with a heavy head, bloated feeling and more due to monthly period. Plus, I have a date with 'Bill'. This is the kind of date I hate because I just have to pay the bills. This is a rare moment when I am not myself - I don't want to see or talk to people. I did not even shower my hair. I went out of the house without looking in the mirror. On the way down the elevator, after paying the bills, three young ladies came in talking loudly. The sound they were making irritated the already irritated woman in me but I kept quiet. In the first place, the girls were just having fun conversing. The least I did was to check their reflections from the stainless steel and shiny elevator. 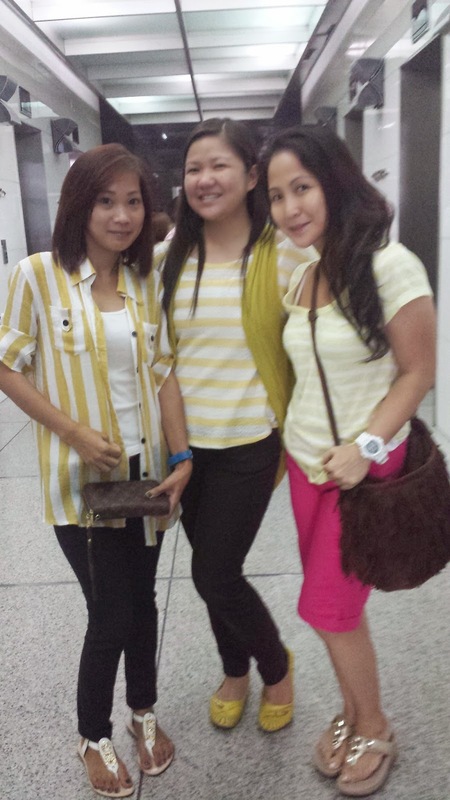 Bigla akong natawa at nawala ang cranky, gloomy feeling all because the two girls and I were wearing yellow striped tops! My mood was lifted, took photos with Kaye Belarmino and Sheryl Aggarao, then headed (now with a smile on my face) to the next date with Bill. 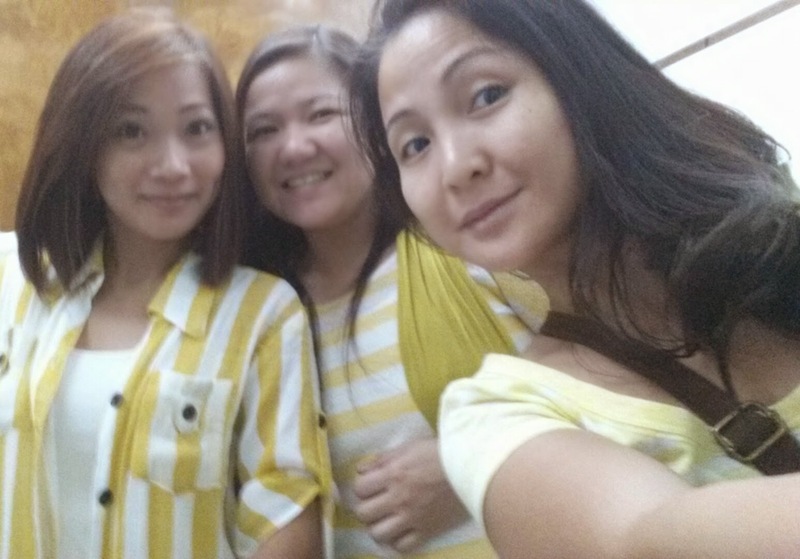 Then, I saw the girls again outside, with their office mate, Jinky Perfecto. 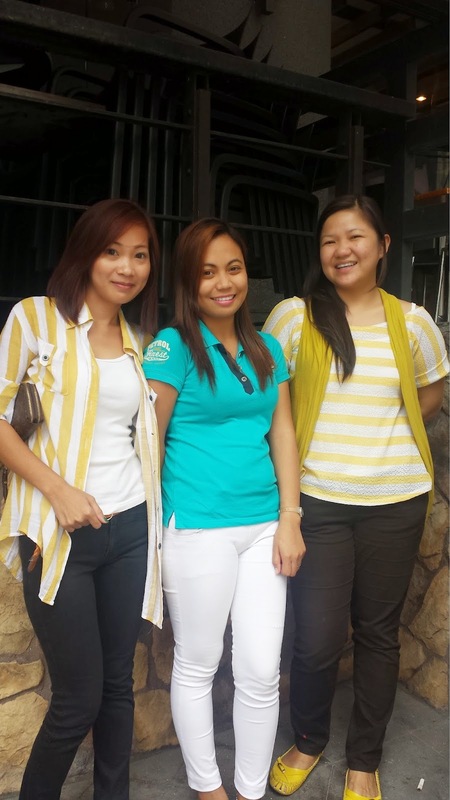 Thanks Kaye, Jinky and Sheryl, it's a Wonderful Wednesday because of you, girls! already commented, not sure though if it was successful. anyways, GOD sent you angels to cheer you up. HE already planned your day. you'd feel how blessed you are even for small things like this.